Winemaking - is the process of production of wine by fermentation of grapes or other fruits. Processing wine is among the most important factors that influence the quality and character of the wine. Semi-dry and semi-sweet table wines are prepared by fermentation of a wort for the remainder of 10-80 g / l. The alcohol content of these wines is 9-12% by volume. 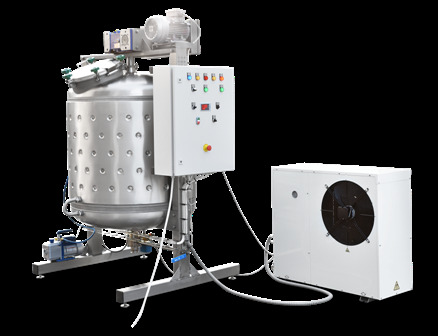 Technology of preparation white table semi-dry and semi-sweet wines consist from: crushing of grapes, sulfidation the mixture, mixing, separation and compression on automated production lines. 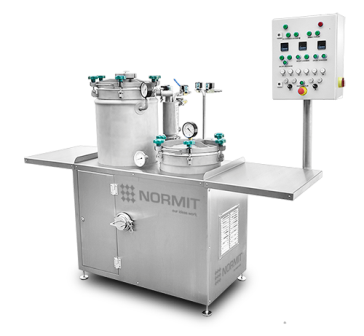 After is the the mixture processing for 12 to 18 hours, when precipitate is deleted. The purified mixture is fermented. The fermentation is suspended by rapid cooling to a temperature of -5. The wine has a total amount of sulfur dioxide 250 mg / l and stored at 0-3 ° C. The final product is stored in tanks, from which the sediment is removed (if necessary we could add a further sulfur dioxide). Table red semi-dry and semi-sweet wines are prepared with mash fermentation to residual sugar 10-80 g/l. The wine is separated from the mash and compressed. Then is heated to 50-55 ° C, when the fermentation is stopped followed by cooling to 0-3 ° C. Other processes are the same with white wine. Received grapes are being sorted, washed, weighed and tested for sugar level. After destemming, the grapes are commonly lightly crushed. 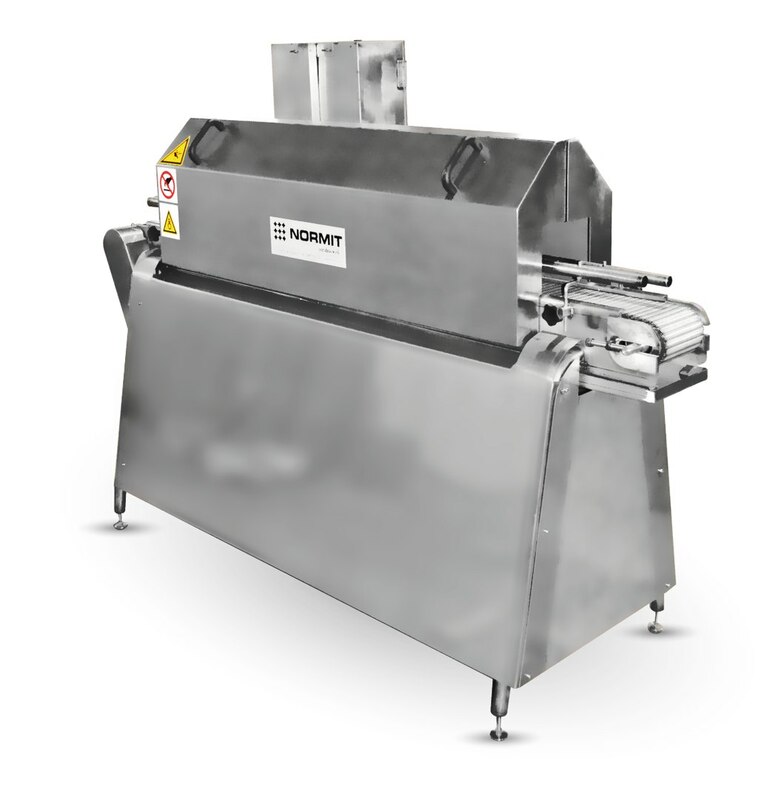 Crushing allows extraction of juice as well as extraction of skins and seeds. For this purpose grapes crushers are used. They are usualy consist of a pair of rollers. 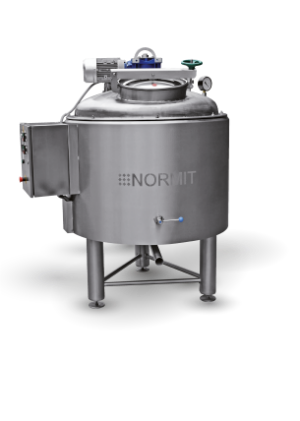 The mixture of grapes, skins, juice and seeds called must, which is then pumped to a vessel, often a tank made of stainless steel or concrete. 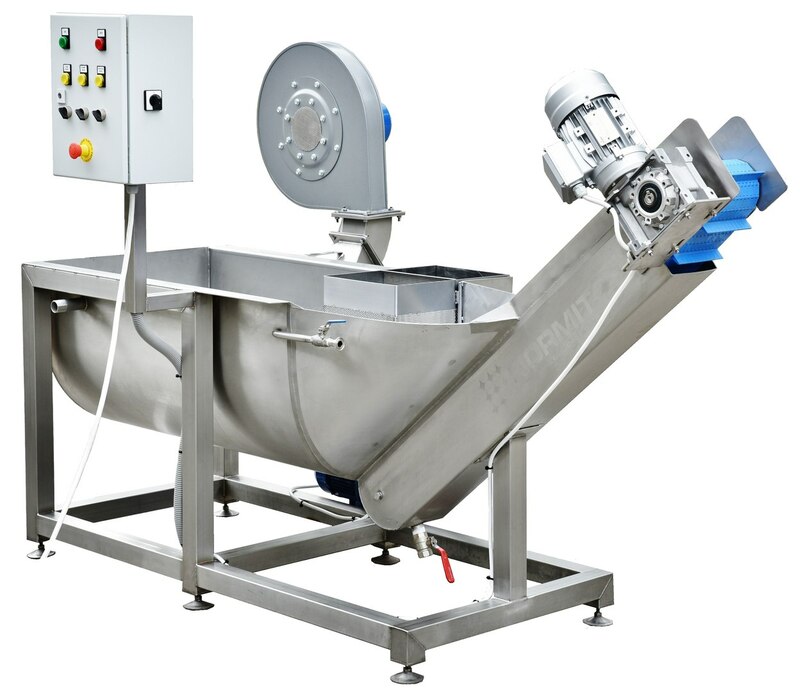 Pasteurization equipment is made of stainless, has a flow system and is fully automatic. Stemming is performed before grinding of grapes in the mill,because green stems bring to the wine bitter taste. The device consists of a hopper, feeder screw, stalk processing equipment and crushing rollers. It is made of stainless steel AISI 304. Productivity is 3000 kg / hr. Capacity approx. 5 000 1 / h.
Olive pump is gentle pump also for the whole grapes, is made of stainless steel and has rotor. The rotor speed can be different. The transport distance is at least 20 m, but may vary according to your requirements. The maximum weight of 2000 kg (accurate +/- 2 kg), can be connected to the computer. 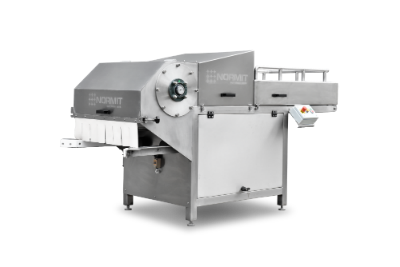 Movable hopper with integrated belt conveyor for grape is made of stainless steel. 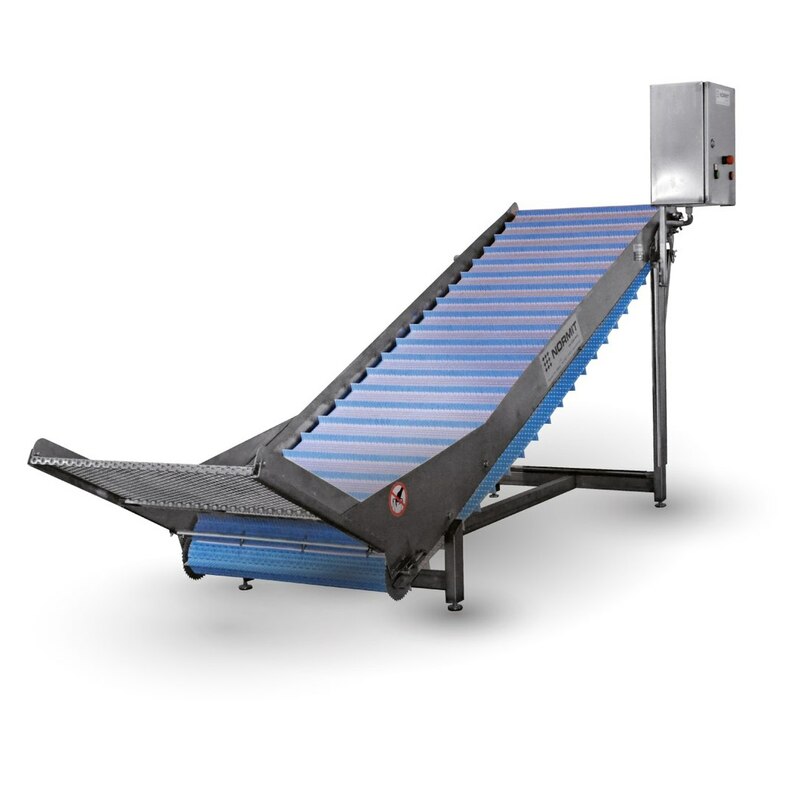 The belt transports grapes to ginning machine or pneumatic press. . The hopper is easy to clean. The hopper has a gearbox with stable transmission and chassis with lifting. Organisms are in microbiological stabilization, when they have an ability to affect the stability of the wine by eliminating reduced probability of re-fermentation or deterioration. 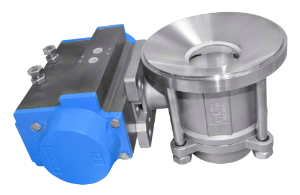 Cross -flow filter is tangential filter, made of stainless steel, placed on mobile frame. 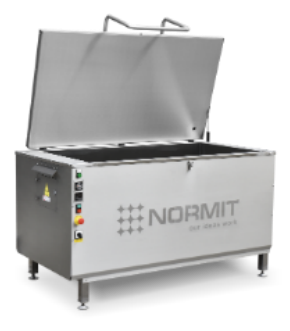 It has fully automatic operation via touch screen and a transparent sheath for visually monitor the process of filtration and integrity testing. It contains pedfilter (500 um) and circulating filling pump, which is protected against dry run and pressure extreme. he pump is controlled by a frequency converter.Pore permeability is.0.2 um. 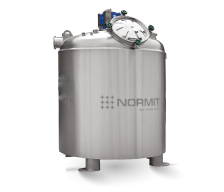 The inlet temperature varies, the output is a maximum of 5 ° C.
The membrane filter is used for membrane filtration of wine prior to bottling. he filter is equipped with a microfiltration membrane specifically for white and red wine. 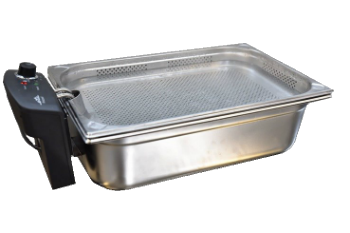 Sterilization is done with hot water or chemical containers. 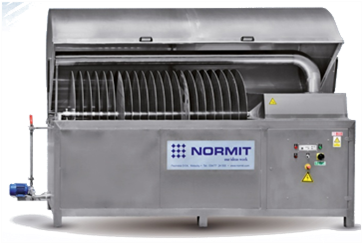 Pressing is not always necessary if the crushed of grapes is done correctly and a significant part of the juice is separated. However, the juice obtained by pressing is better quality. Closed pneumatic press has a capacity of 800 - 2000 l.
Complete made from stainless steel. The system has a control unit with digital thermostats. The system is air-conditioned (cooling liquid). 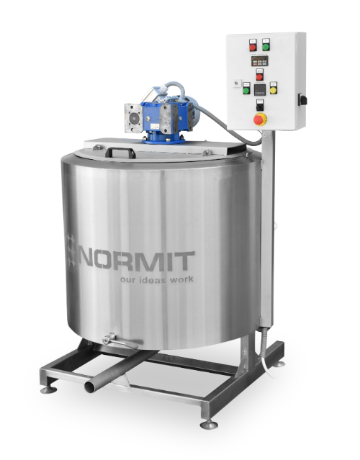 Cylindrical tank with eccentric bottom and lid, along with bottling and total outlet with ball valve and the tasting valve. We added sulfi to avoid unwanted fermentation in the bottle of wine. Labelling is an alternative use for the front and back labels on one or two coils. Possibility to apply labels on cylindrical bottles and also the possibility to apply a transparent labels. 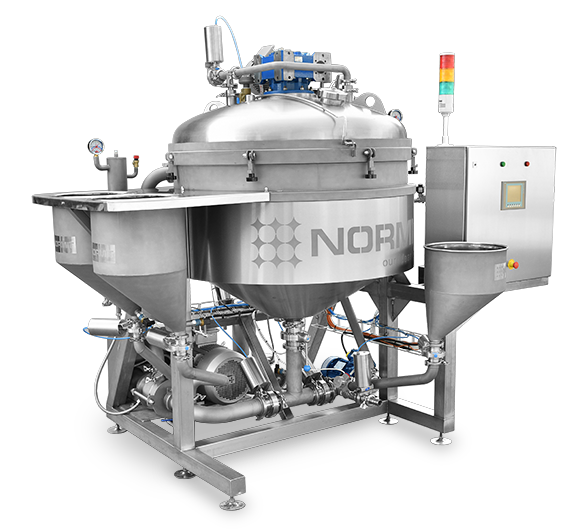 CIP is used for the cleaning of membrane filters, including columns, storage tanks, filling lines and other equipment.CIP station is installed on a movable stainless steel frame.